Shadow is another female we have high hopes for and we know she will produce outstanding pups. Shadow has a lot of drive and desire to retrieve. She doesn't have much of an off switch but in the field she is a pocket rocket. She is very fast on her marks and her desire to retrieve is very intense. She has a very nice water entry and is very loving. Shadow is a fast swimmer and wastes no time burning a trail to her marks. Shadow is a smaller stature female but don't let her size fool you, she is fast. 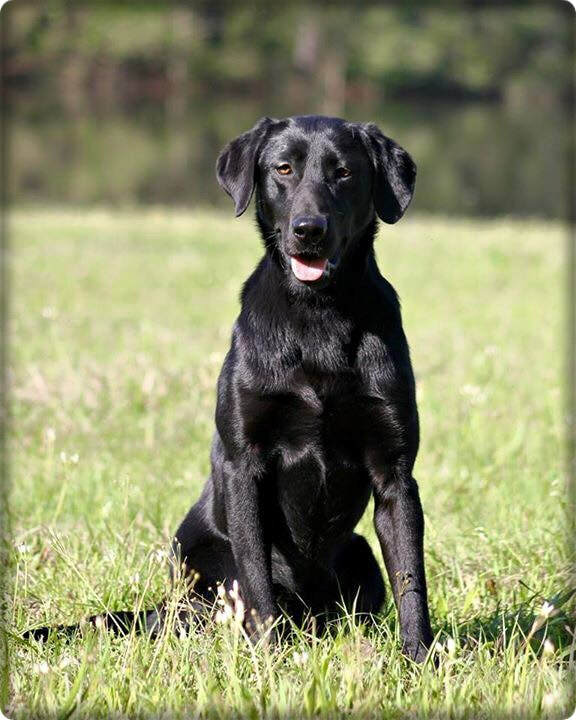 Her pedigree boasts of some of the top dogs in the US and many field champions. Shadow will produce some nice quality pups to add to any competition/hunting home.